CUDAHY, Calif. – When Joseph Turner was informed his American Children First initiative seeking to bar illegal aliens from attending public schools in the Yucaipa-Calimesa Joint Unified School District (YCJUSD) and require illegal alien parents of American citizen children to pay non-resident tuition to enroll their children in district schools was not something that could be accomplished through the initiative process, he was determined there was more than one way to skin a cat. 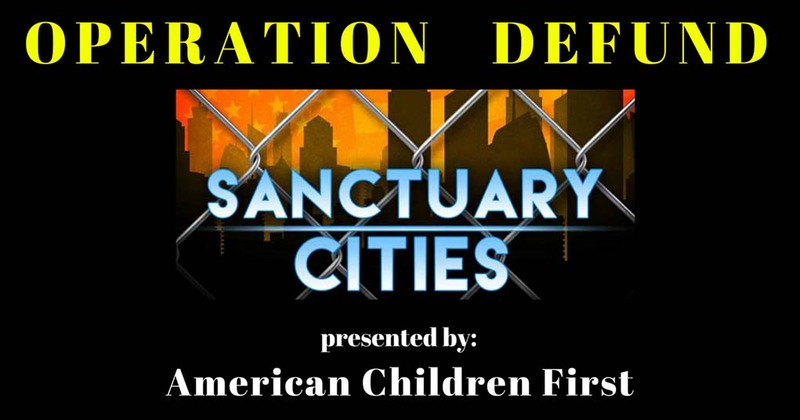 Turner launched “Operation Defund Sanctuary Cities” on May 30, beginning with a ballot initiative to repeal the city of Cudahy’s utility user taxes (UUT). Cudahy is one of over 150 cities throughout California that imposes taxes on the utility bills of its residents and businesses. And, for many, the UUTs make up a significant portion of their general fund budget. In Cudahy, it comprises 13.5 percent of the city’s revenue. Cudahy, one of the smallest cities located in southeastern Los Angeles County but with one of the highest densities in the state, has a population of approximately 24,000 comprised primarily of Latino immigrants, both legal and illegal. Cudahy officially declared itself a sanctuary city in 2015. The city is also known for corruption. Back in 2013, former City Manager Angel Perales was sentenced to five years probation after pleading guilty to one count each of bribery and extortion for his part in accepting $17,000 in bribes from a man seeking to open a medical marijuana dispensary. For their roles in the bribery and extortion scheme, former Mayor David Silva was convicted and sentenced to one year in prison and former Councilman Oscaldo Conde was sentenced three years in prison. The medical marijuana bribery case led the FBI to open a corruption investigation, which revealed bribes were commonplace for anyone who wanted to do business with the city of Cudahy. California voters passed Proposition 218, the “Right to Vote on Taxes Act,” in November 1996. The constitutional amendment protects taxpayers by limiting the methods by which local governments can institute or increase taxes fees and charges without taxpayer consent. Not only does Prop. 218 require voter approval prior to the imposition or increases of general taxes, assessments, and certain user fees, it gives voters the power to repeal any existing taxes, assessments or charges through the initiative process. And, that is precisely the provision Turner will be using. Back in February residents let their thoughts be known about the city’s sanctuary city policies during a city council meeting. A Hispanic man wearing a “Trump 2016” told council it was a shame they take care of illegal immigrants better than those who were born there. The March 7, 2017 Cudahy City Council election also included a parcel tax measure to authorize imposing a parcel tax for five years based on units of property rather than assessed value – $139 per parcel for single-family and unimproved property; $181 per multi-family units; and from $1,550 to $49,600 per parcel for industrial and commercial property to fund police protection services. The measure failed overwhelmingly with 73.53 percent voting no. Because of low voter turnout in Cudahy, it will only take 62 valid signatures to qualify the initiative for the ballot. American Children First is a grassroots effort with very little funding. The cost of filing one initiative to get it off the ground to begin gathering signatures costs $300-$600. Turner plans to file initiatives in numerous California sanctuary cities that charge UTTs but it will require donations. He also proposed the idea of sponsoring one of their initiative filings. After Cudahy, Turner plans to go after the city of Huntington Park, which is not just a sanctuary city it has also appointed illegal aliens to serve on commissions. It will only require 175 valid signatures to force a vote on repealing Huntington Park’s UTT. Visit http://americanchildrenfirst.org/contribute/ for more information and/or to donate.